Kundalini Yoga is a technology that quickly allows us to reconnect with our internal wisdom to feel fulfilled, centered and joyful. We use the sacred science of this practice followed in a precise manner to create connection. The class uses specific kriyas (series of postures), breath work, meditations and mantras, to cultivate inner peace, and embrace our personal power. Most beginners find the classes a bit odd at first! It is nothing like any yoga class you have done before. Come with an open mind, and let your feelings and expression of joy be your guide. Each class is open to ALL ages and levels. No previous experience is necessary. You do not have to be flexible, if you cannot sit on the floor it can be done on a chair. A note on mantra: some people, for religious reasons, do not feel comfortable with mantra. We do use mantra in Kundalini yoga as a way of connecting vibrationally to certain states within ourselves. We do not teach Kundalini yoga with any religious overtones. 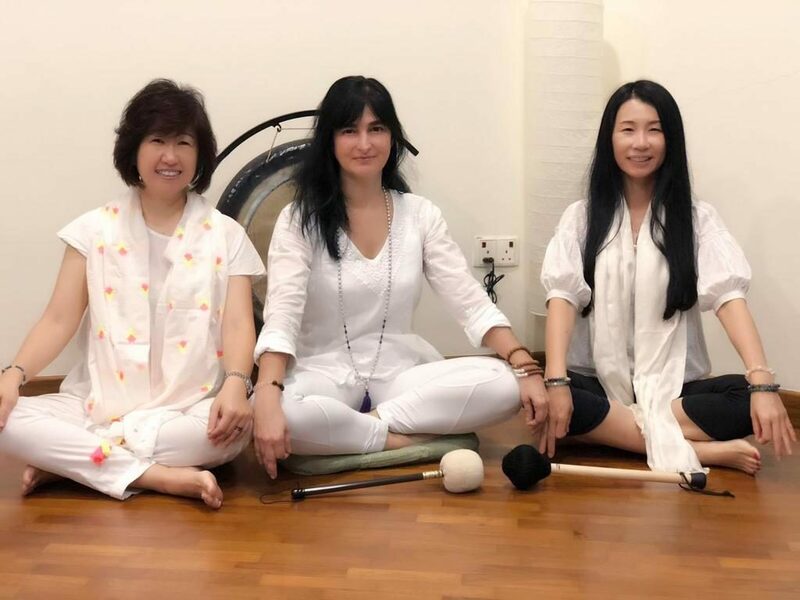 This is a community run class with three teachers, all trained under the Kundalini yoga system as taught by Yogi Bhajan.